"Very competitive prices, highly recommended." What is company van insurance? Why do I need company van insurance? It is a legal requirement that all vehicles on UK roads have valid insurance policies, and this can be a huge expense when it comes to insuring a single or entire fleet of commercial vehicles. There are insurance providers who specialise in catering to the needs of a company, and can offer policies that protect against the risks you are most vulnerable to. 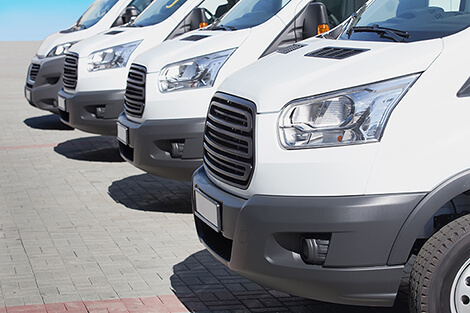 Company van insurance could cover you and your vehicle(s) for travel to several places of work, transport of work related goods and materials and sales trips, and aim to minimise the impact any accident, damage or theft will have on your business. It works the same as a regular van insurance policy, but is designed to cater specifically to the needs of your business. The right type and level of cover for your business vehicle will depend on a range of factors, including how, and how often it is used. 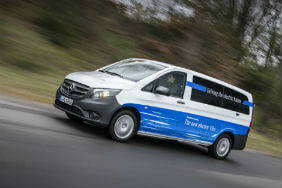 If your van is only used rarely, a temporary van insurance policy may be more beneficial to you. Get the right cover to ensure you get the best possible assistance when you and your business need it most, and get our best price in minutes today. Why get a company van insurance quote from Confused.com? Confused.com can search a range of providers in minutes and find our best policy for you and your company, at our best price. We can also compare a range of providers of small business insurance, and help give you the peace of mind of knowing that your company is protected from a range of risks. For more information and help finding the right type of cover, take a look at our collection of guides. It's simple, quick and efficient and saves you money. What more could you ask for.